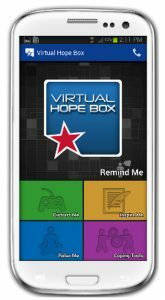 Designed for T2 by tiag for use by patients and their behavioral health providers, the Virtual Hope Box smartphone application provides tools that help patients cope, relax, manage stress, and think positive when away from the clinic. 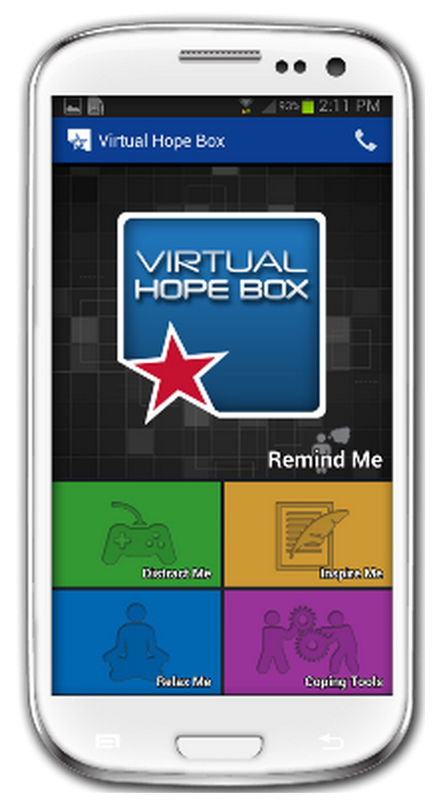 This mobile app merited the 2014 Department of Defense Innovation Award for its unique application of technology in supporting behavioral health for service members and military families. Users can collaborate with health care providers to create interactive, patient-specific audio, video and images for activity planning, mindfulness exercises, inspirational messages and other coping resources.